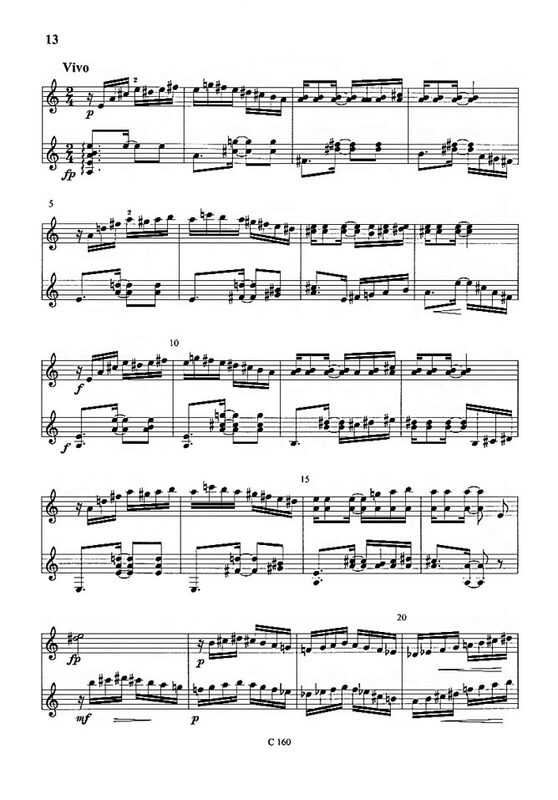 Sonata (1985) for Violin and Guitar, C 160, by Ernst Mahle. Full Score, Parts, and YouTube Videos. This is yet another masterwork by Ernst Mahle, this time for the combination of violin and guitar. 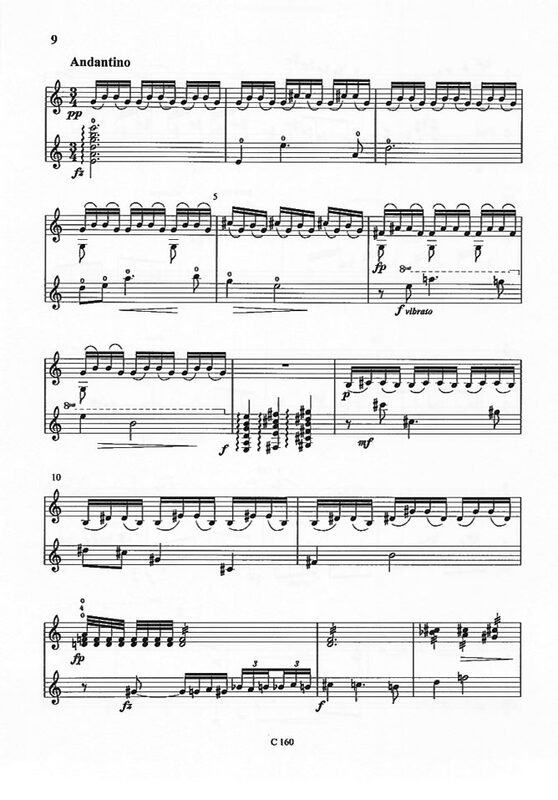 The two instruments are treated as equals and the writing is idiomatic throughout. It is a complex mixture of styles ranging from near atonality, a generous touch of Brazilian rhythms, textures, melodies, and harmonies, with hints of Impressionism in the second movement. Consisting of three movements, it is written for advanced players and is one of the finest works in the literature for violin and guitar. I have had the pleasure of performing it more than a dozen times and have never grown tired of it. Please give it a try. If you appreciate fine craftsmanship and twentieth-century works by composers such as Hindemith, Ravel, and Villa-Lobos you will love it! 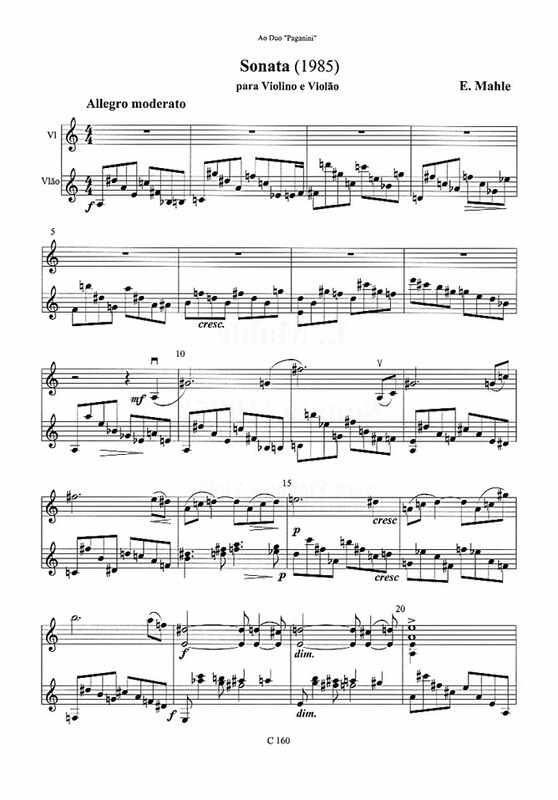 The score and parts are available free for download below. This music was engraved by Ernst Mahle himself. We are fortunate to have two sets of videos of performances of the Sonata for Violin and Guitar. The link to this video was kindly sent to www.emahle.com by Eros Roselli, Guitar Teacher at the State Conservatory of Music of Mantova (Docente di Chitarra presso il Conservatorio Statale di Musica di Mantova). It is a live recording of the entire sonata, performed by Franco Mezzena, violin, and Eros Roselli, guitar, at the Teatro Comunale DIM of Castelnuovo del Garda (Italy) on the 14th of February, 2016. Eros Roselli's website is www.erosroselli.it. This set of individual movements was recorded live in Philadelphia in 2009, the last stop in a tour of Mahle's music that included two performances in Philadelphia and one in New York City. Ernst Mahle was present at two of them and graciously took all of the musicians out to a fine meal at a great New York restaurant. (There's a picture on the photo page.) The violinist in these videos is Eric Lawson and the guitarist is yours truly, Jeff Anvinson.